Decades of war and revolution in Europe forced an "intellectual migration" during the last century, relocating thousands of artists and thinkers to the United States. For many of Europe's premier performing artists, America proved to be a destination both strange and opportune. 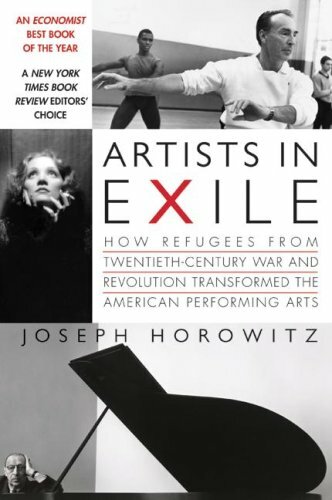 Featuring the stories of George Balanchine, Kurt Weill, Fritz Lang, Billy Wilder, Greta Garbo, Marlene Dietrich, and many others, "Artists in Exile" explores the impact that these famous newcomers had on American culture, and that America had on them. Joseph Horowitzis the author ofClassical Music in America,Artists in Exile, (UC Press),Understanding Toscanini, andWagner Nights. Previously a New York Times music critic, then Executive Director of the Brooklyn Philharmonic, he is currently Artistic Director of DC's Post-Classical Ensemble.